We have two locations on the Central Coast for our guests to enjoy — Our downtown Santa Barbara winery & tasting room and our Santa Ynez tasting room & warehouse. You will find contact information for each location below as well as our Contact Form for any inquiries you may have. Visit the 1940’s Quonset Hut in downtown Santa Barbara and enjoy the ambiance of a working winery while sipping on delicious wines at the beautiful barrel top bar. Wines by the glass, wine tasting, and wine on tap served daily! Monthly art shows and live music. We have partnered with a few hotels in the Santa Barbara area including: Bacara Resort & Spa, Canary Hotel, Four Seasons, and Simpson House. 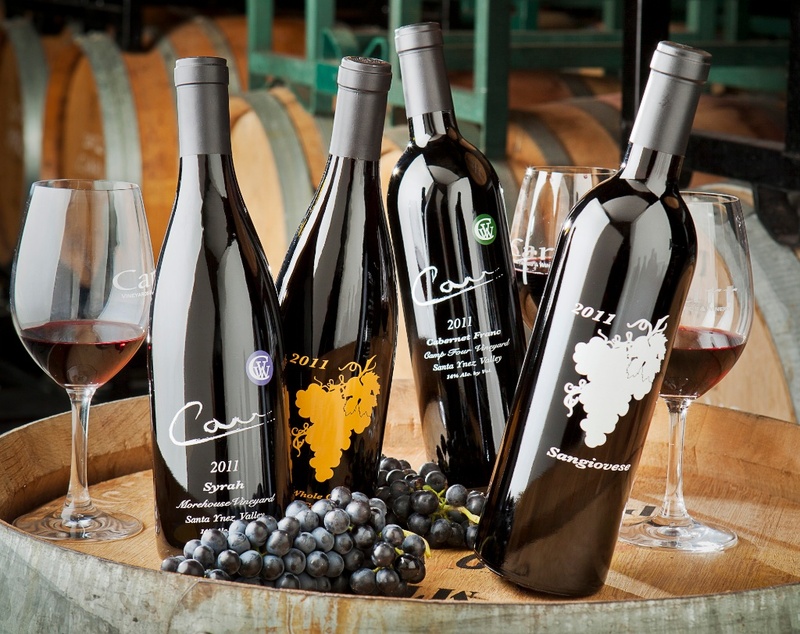 Stay at one of these locations and receive a complimentary wine tasting at Carr Winery. While you are visiting Santa Barbara be sure to take in the picturesque ocean views from the harbor and the American Riviera or shop along State Street. Santa Barbara has an abundance of delicious restaurants. Enjoy California cuisine at Opal Restaurant. Indulge in authentic Italian dishes at Trattoria Vittoria, or stop in for a glass of wine to pair with salumi and formaggi at Olio Pizzeria. Savor delectable sushi at Arigato on State Street, or check out Intermezzo for wine on tap and small plates to share with friends. Visit our 3800 sq. ft. climate controlled wine storage facility in downtown Santa Ynez. The warehouse is where all of the Carr Wines are waxed, bottle aged and crated in wood boxes for shipment. The facility has an open floor with a u-shaped bar and booths for you to enjoy wine tastings, wines by the glass, and wine on tap. While you are in the town of Santa Ynez be sure to visit some of our neighbors. Start your day with a cappuccino and a pastry at the Baker’s Table. Shop at locally owned, Plenty Boutique and Sage of Santa Ynez for home goods and women’s clothing. Enjoy lunch on the patio with Mexican/Latin inspired cuisine at Dos Carlitos. Sip local wines and indulge in modern Italian farm to table dishes at SY Kitchen. Dine at the Brothers Restaurant at the Red Barn for legendary service, innovative “made from scratch” cuisine, and a welcoming, comfortable atmosphere.